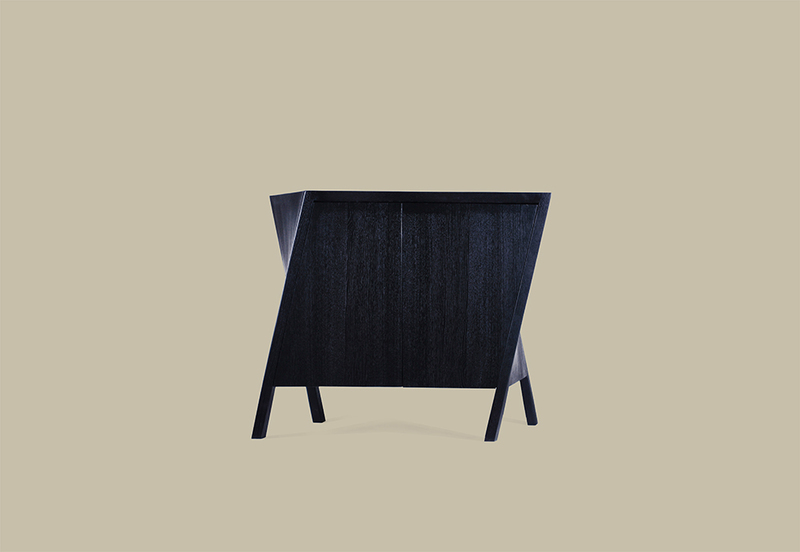 A form featuring movement and balance, the Walking Cabinet seems almost like a playful and harmonic dance. Legs twist in different directions on the pavement; the cabinet seems to pose a life of its own, en route to some other place. The twisted form allows not only for a center-piece, the Walking Cabinet allows for the addition of two or more cabinets in a module system which invite new configurations and forms.